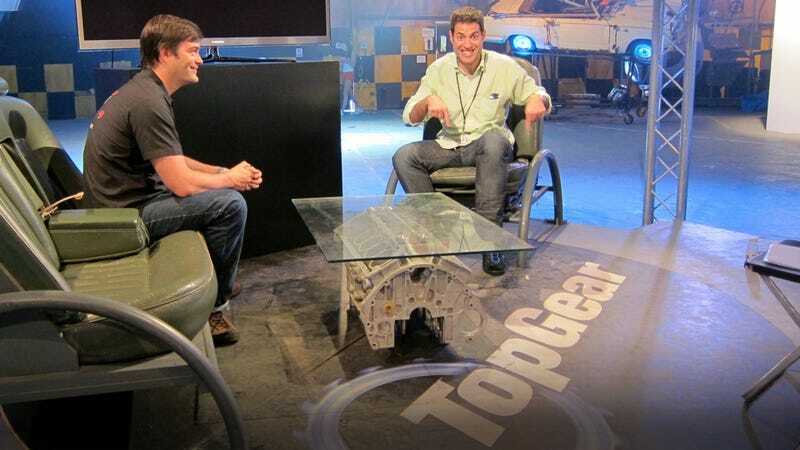 Since it's hard for most people to fit an entire car in your living room, a better way to show off your refined taste in automotive appointments is with an engine block coffee table. According to Jalopnik readers, these are the ten coolest, classiest, and cleanest-looking engines to use. What&apos;s the best engine for a coffee table? Why it's ideal: The Northstar engine was only Detroit's second mass-produced overhead-cam V8, so it's not exactly surprising that the engine had quite a few teething problems. While this might have been problematic for Caddy buyers, it's your gain, and finding a nice Northstar to scrub clean shouldn't be too hard. Since it's a Cadillac engine, everyone will recognize your obvious refinement and class. Also, it sat in the engine bay of our fearless leader's (shown atop this post) first car. Why it's ideal: When it comes to engine coffee tables, the more cylinders, the better. If you're looking for a readily available V12, you could either go for a nice, big Jag engine, or you could go for another omnipresent luxury V12, BMW's M70. Built from ‘88 through '96, these things filled up the engine bays of plenty of 7- and 8-series BMWs, many of which are hopefully headed to the junkyard soon for your scavenging pleasure. Why it's ideal: Aside from being one of the most indestructible engines ever built, the slant six is a daunting choice for a table. Why it's ideal: Speed parts company Hurst Performance built a drag racer show car back in 1965 by muscling a hemi engine under the rear window of Plymouth Barracuda. The cars were name "Hemi Under Glass," and if you yourself bought a Hemi for a glass coffee table (a fine choice for a classic American V8 in its own right), well, the jokes would just write themselves. Why it's ideal: If you happen to have a lot of spending money and a massive living room, there is really only one choice for your engine coffee table: a radial aero engine. Any one you can lay your hands on is going to be bulky and heavy like you wouldn't believe, but it'll be worth it to have the most eccentric living room in the neighborhood. Why it's ideal: While we do love a nice flathead Ford or a Chrysler straight-eight, they're both lacking in international flair. What you need is a nice big hunk of Italian V6. Nobody has to know it came out of a mega-‘80s BiTurbo if you don't' want them to, so we suggest you go the route of reader Maxichamp and pick up a Maser V6 as soon as you can. Why it's ideal: A nice, small boxer engine out of a Subaru will do perfectly for your small apartment, and the whole horizontally-opposed cylinder thing will make for a great talking point. At least when coffee tables are concerned, there's more to life than big V8s. Why it's ideal: This is a 1960s Formula One engine build out of two 1.5 liter V8s. It was too complex to ever work on the racetrack and remains one of the strangest engines to ever find its way into a car. Good luck finding one to stick in your living room, but when you do, you'll have the coolest table around. Why it's ideal: Much like the Subaru engine, this boxer engine will be nice and flat, making it perfect for a big glass table. The price may be high, but you're looking at a twelve cylinder engine from the finest car brand in the world. It's even a quirky engine used in Ferrari's top-line supercars of the ‘70s and ‘80s, so there isn't a person alive who won't be happy to see one. Why it's ideal: What you really want in an engine coffee table is cylinders. The more of them you get, the more wine and beer you can stick in your table. The most compact way to raise your living room's cylinder count is with Volkswagen Automotive Group's W-type engines. If you just need something small, an ultra-compact VR6 will do. If you have the kind of money, you can find yourself a W12 out of a VW Phaeton (or a Bentley Continental, you snob), or even a W16 after your latest insurance scam doesn't pan out. If it were our table, we would go for a W8 out of a Passat. It's got enough cylinders, it doesn't look like anything you'd expect it to, and it's not made out of unobtanium.